When you get the facts… It’s RE/MAX. RE/MAX Associates are the first group of real estate agents to be involved in more than 1 million transaction sides within a single year. Increase your income not only with the maximum commission concept, but also from increased productivity.On average an agent joins a RE/MAX office somewhere in the world every hour of every day. With each additional agent, the network increases in yard signs, referral opportunities, national advertising funds and market share. That all adds up to more business for each individual agent. As the production statistics show, RE/MAX is the home of quality professionals. Now more than 120,000 strong, RE/MAX Associates, on average, lead the industry in production, experience, and professional designations. They also are well known for their contribution to Realtor boards and for their community involvement. RE/MAX Sales Associates, on average, out produce agents of competing real estate networks. That production translates into an Associate average of 24 transaction sides a year, leading to more than $100,000 in annual earned commissions. At RE/MAX, top-producing agents increase income not only from the maximum commission concept, but also from increased productivity. RE/MAX Associates average more than 13 years of real estate experience. Education at RE/MAX is conducive to continuous improvement and service excellence. Associates stay on top by accessing personal development programs along with the industry-specific educational programs. RE/MAX Associates lead agents of competing companies in professional designations. They dominate the Accredited Buyer Representative (ABR), Certified Relocation Professional (CRP) and Certified Residential Specialist. The proof of quality service is in repeat business and referrals. RE/MAX Sales Associates average 70 percent of their business from repeats and referrals, while other agents average about 30 percent from those sources. RE/MAX Referral Program has proved to be more successful than any other referral system in North America. Full-time quality Associates sending leads directly to other full-time quality Associates provide better service for customers and extra income for themselves. With the RE/MAX Web Roster on Mainstreet – which is updated daily – it’s easy to find an ideal recipient and automatically generate and send referral forms. Because most agents who join RE/MAX already have extensive real estate sales experience, RE/MAX skews its training toward an advanced level. It doesn’t have to cater to inexperienced or marginal producers so RE/MAX training immediately jumps to the top producer’s core need – increasing business without increasing work time. And because RE/MAX agents are closing more transactions than most other agents, RE/MAX delivers a large percentage of its training via satellite television – straight to homes or offices via DISH Network and the RE/MAX Satellite Network, RSN®. RE/MAX is the only real estate network with its own television production studio and private satellite television network. An increasing number of RSN® courses are worth credit for continuing education or professional designations. Of course, RE/MAX covers all the other bases as well, with online services, CD-ROM courses, video courses, and state, regional, national and international conventions and conferences – as well as training by individual brokerages and groups of brokerages. A typical RE/MAX International Convention includes more than 130 educational sessions, including numerous courses offering credit toward professional designations. RE/MAX synergy, services, the maximum commission program, referral and repeat business, and real estate experience, enable RE/MAX Associates to survive – and even flourish – in down markets. The RE/MAX Hot Air Balloon is one of the most recognized symbols in real estate, a reflection of large market share. 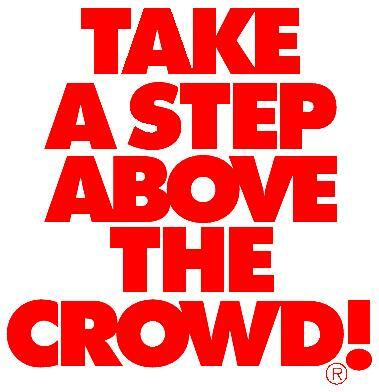 The “Above the Crowd®” logo soars on RE/MAX advertising and promotion worldwide.